Houston, we have a problem – too many artefacts related to our aviation history to see on one tour! 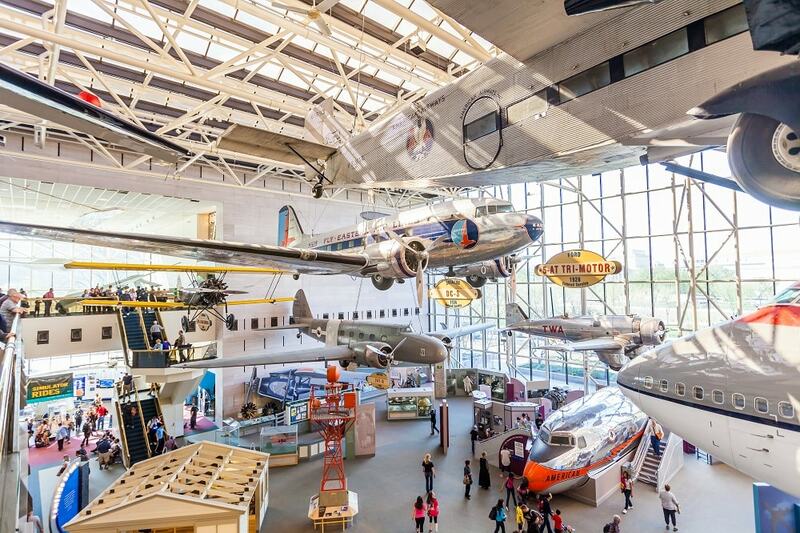 We’ll fly through the most visited of the Smithsonian museums, the Air & Space Museum, to see such gems as the Wright Brothers’ 1903 flyer, the command module from Apollo 11, and the Spirit of St. Louis! The T.Rex from Night at the Museum? Yeah, that’s in NYC but we have an elephant in the rotunda! But never fear, the Natural History Museum has fossils galore. If bones aren’t your thing, we’ll take you to see the Hope Diamond and the largest collection of vertebrates! The tour ends at the Natural History Museum where you can continue to explore. *We cannot guarantee to see any specific exhibit/item, but we’ll try! **You will have to go through security to enter each museum. ***We cannot accommodate wheelchairs or strollers on this tour.